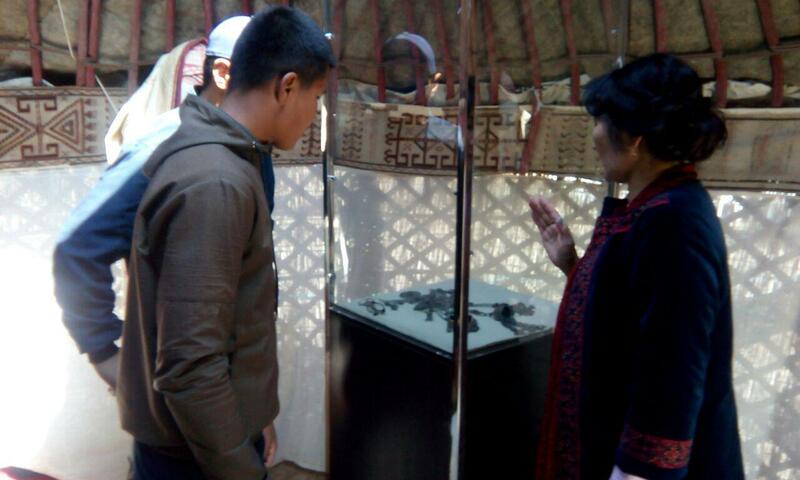 The State Museum of Arts of the Republic of Karakalpakstan named by Savitsky :: The exhibition "Muynak is the land of masters"
The purpose of the exhibition is to promote the development of the tourist potential of our country, to introduce the applied arts of Karakalpaks to people of Muynak. 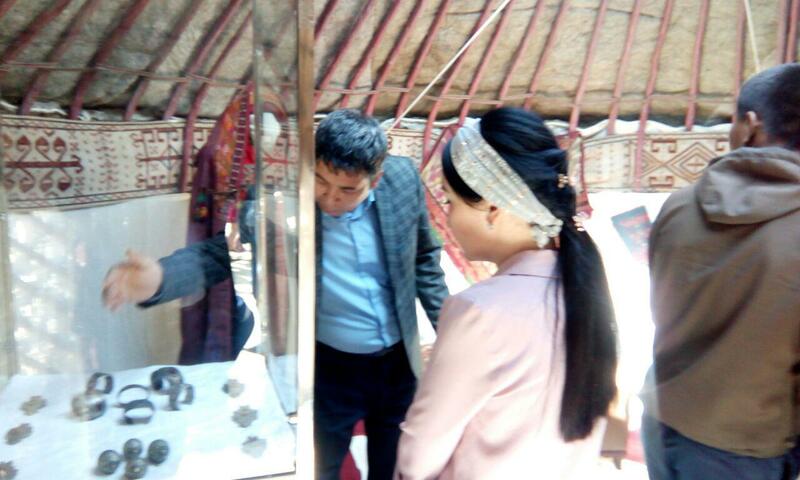 The museum’s founder, I. Savitsky, collected samples of applied art from all regions of Karakalpakstan. But, embroidery, jewelry and carpets made by Muynak masters are distinguished by ornamental variety and special technique. For example, in patterns of embroidery and carpets from Muynak were used ornaments related to water and fishing. 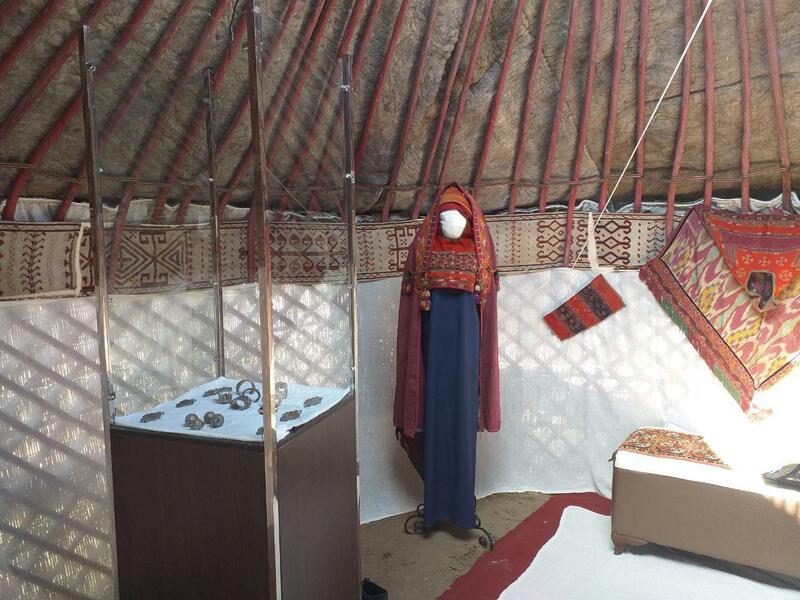 The exhibition featured 43 exhibits of folk applied art, including jewelry, embroidered costumes of young and elderly Karakalpak women, as well as carpet products. All presented things were collected by I. Savitsky, A. Allamuratov, U. Kalzhanova and A. Zharylkaganov from the Muynak district. In addition to the exhibits at this exhibition, our collection contains numerous samples of the applied art of the Karakalpaks. 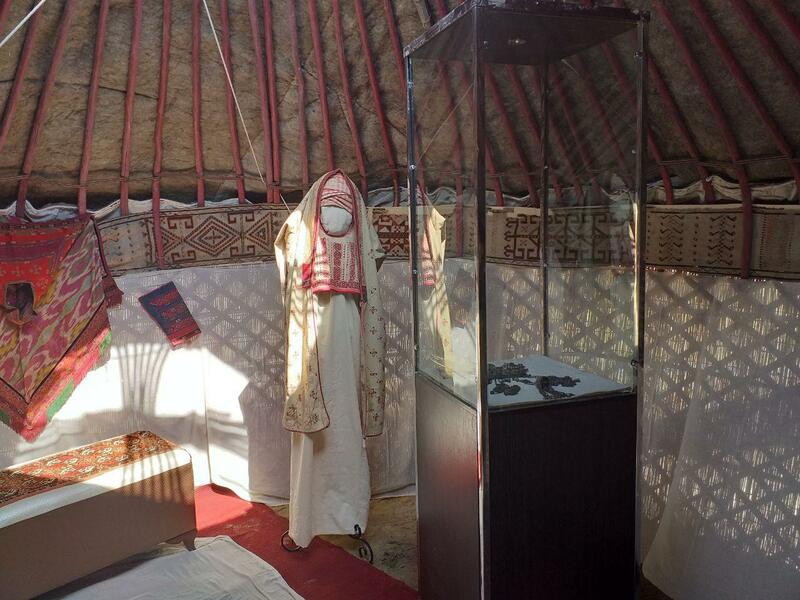 Among them, a unique exhibit, the saukele, acquired by I. Savitsky in the village of Togyz Terek, Kazakhdarya, is a jewel of the museum.